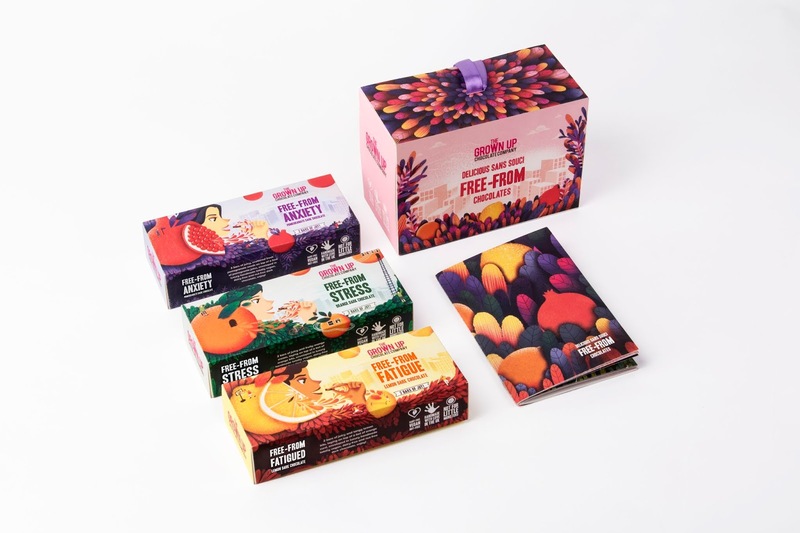 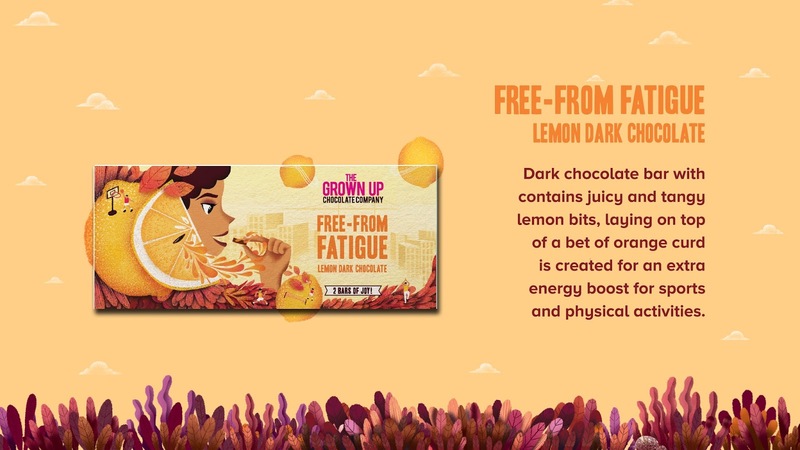 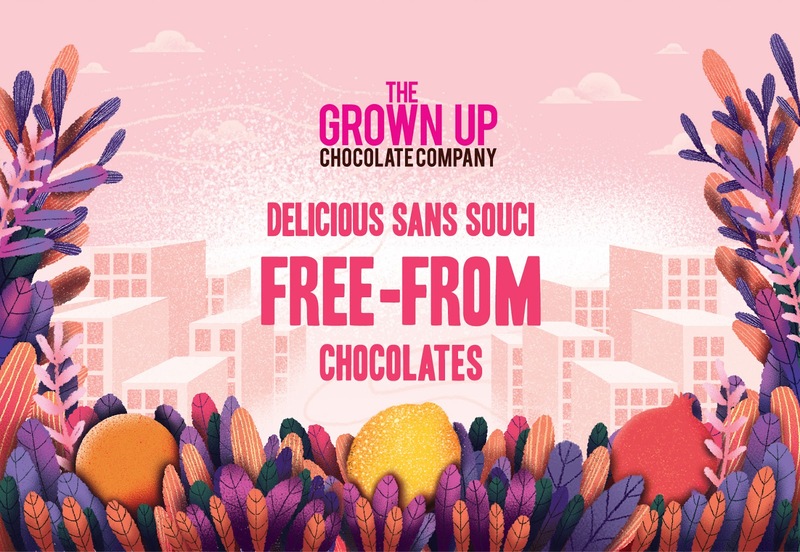 Brief: Create a new identity for the Grown Up Chocolate Company’s new ‘free from’range of deliciously decadent handmade bars. 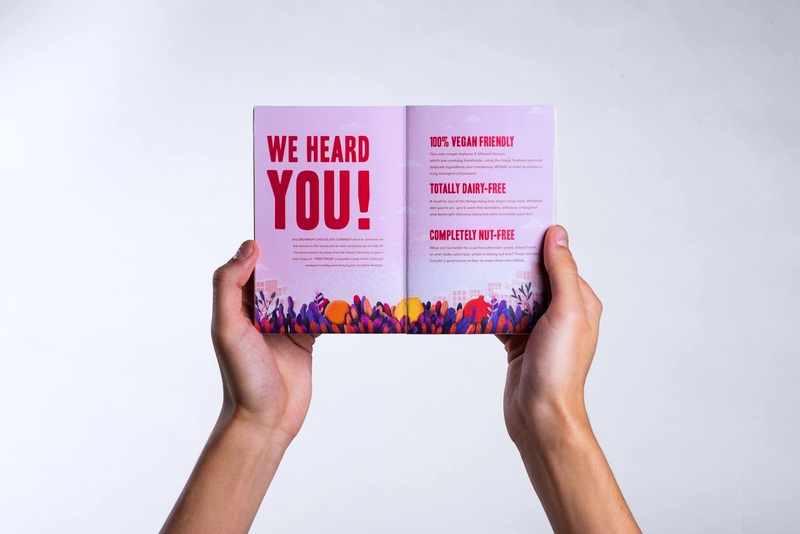 Target Customer: Existing customers who mostly are middle-aged women and an ever increasing number of health conscious people. 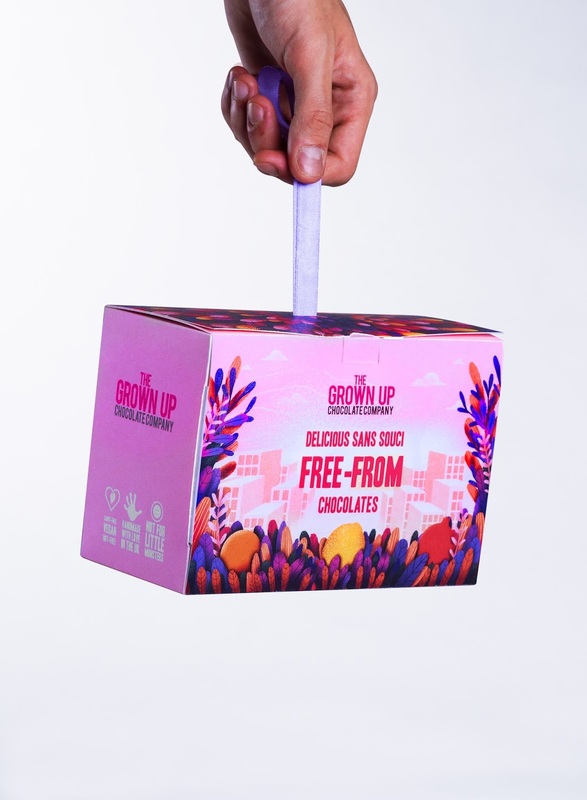 Solution: The Grown Up Chocolate Company’s “Free From” range of chocolates specially caters for women who craves sweet treats as a form of escapism but want to be free from the guilt of enjoying them. 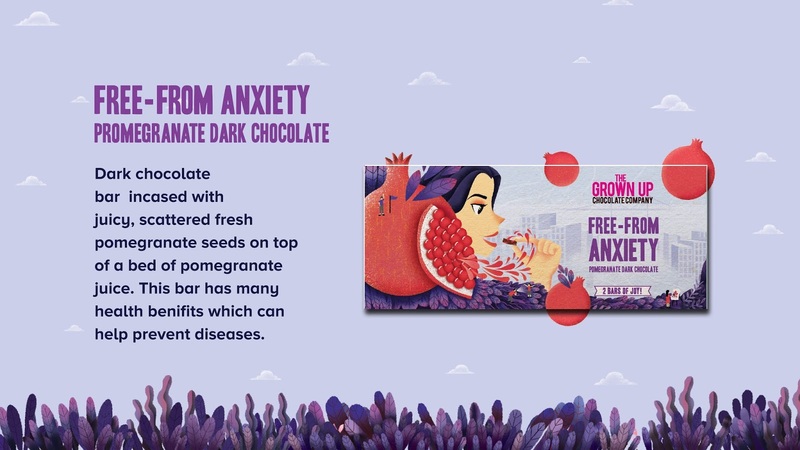 Each delicious flavor not only alleviates one’s daily emotional challenges, but also has low calorie count and void from common allergens such as nuts and dairy products. 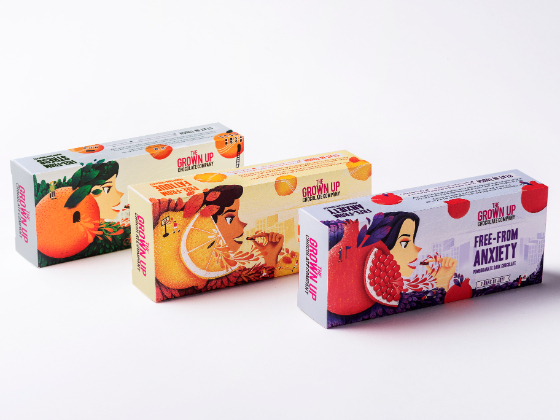 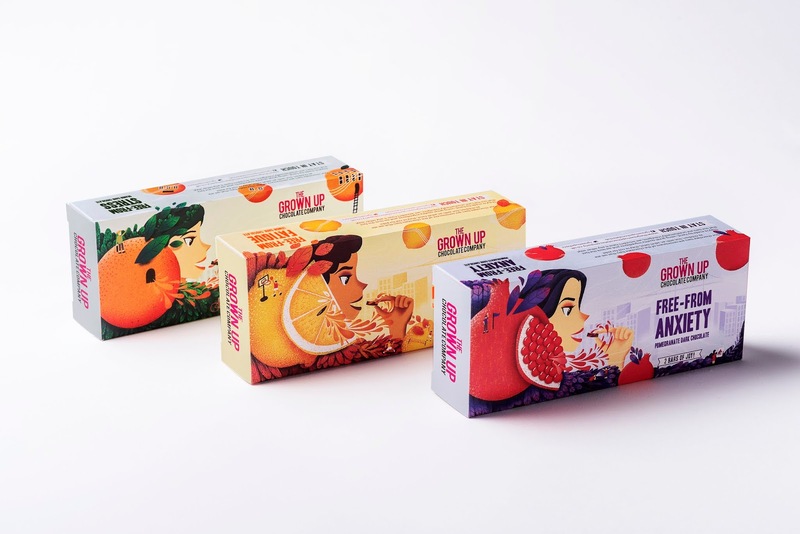 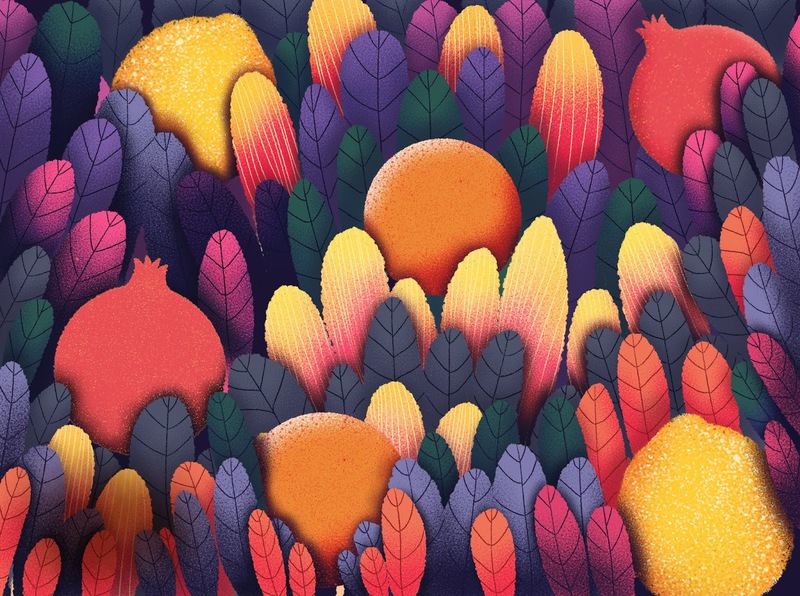 The new packaging design offers a new approach to position the brand to stand among the crown of healthy snack products. 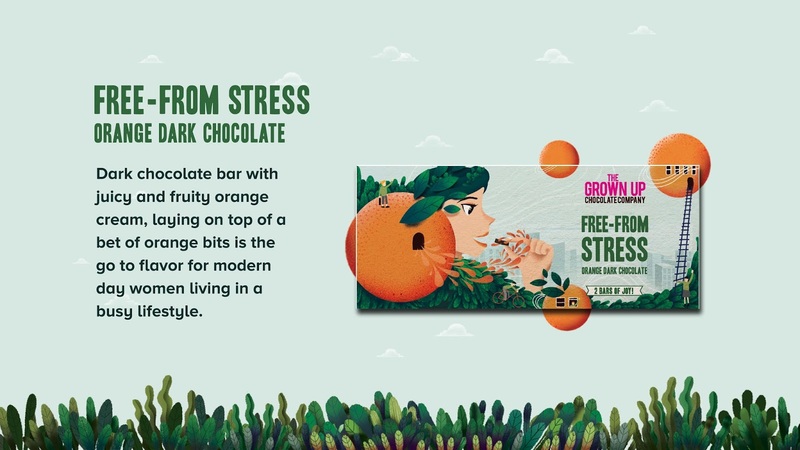 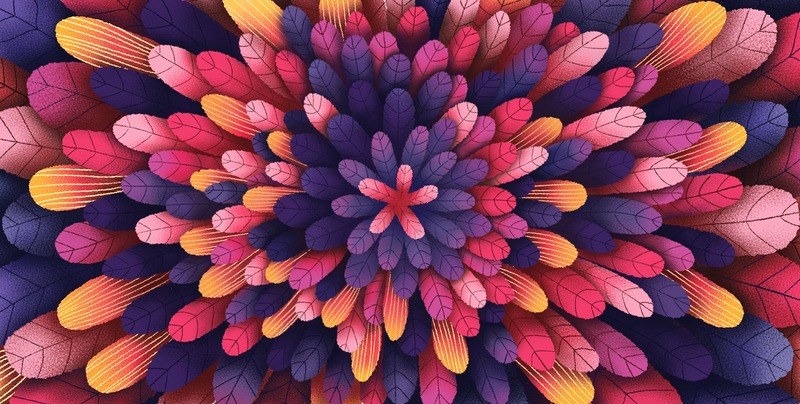 Instead of hard selling with the ingredient, the new packaging design overcomes the psychological push back of customer when it comes to purchasing chocolate (or snack products in general) by providing the positive emotions which consumer will experience from the products.